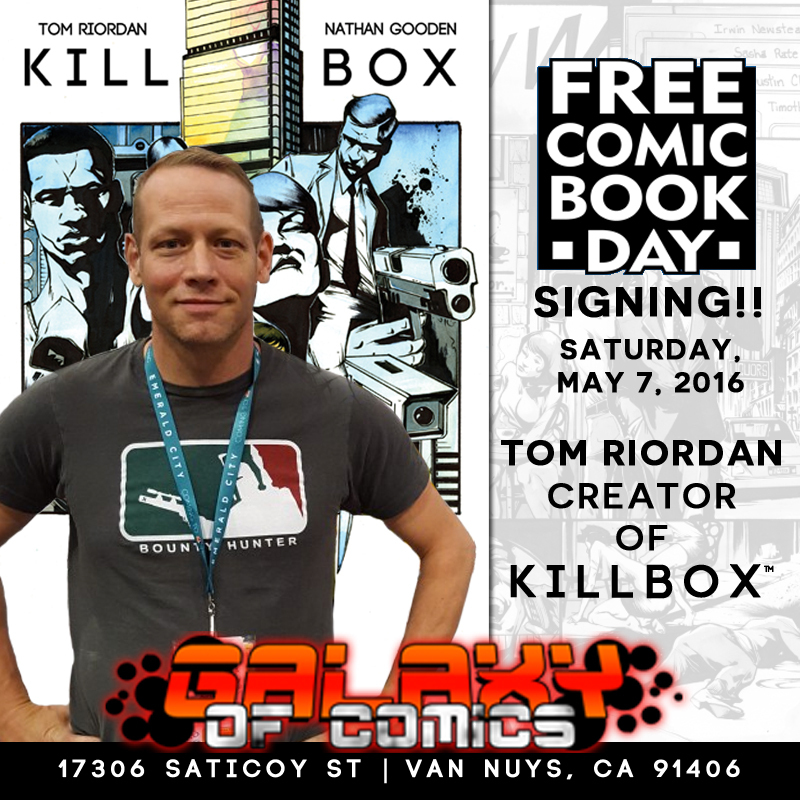 Free Comic Book Day is just around the corner, and those of you in the LA area can come out and celebrate with AGP at Galaxy of Comics in Van Nuys, where KILLBOX creator/writer Tom Riordan will be signing from 10am to noon! Issue #1 quickly sold out at Diamond, but copies of both covers are still available at Captainco.com. The series will continue May 25th, when issue #2 hits shelves and becomes available digitally on Comixology. You can follow Tom on Twitter at @Tom_S_Riordan to keep up with his new projects for AGP!